Remote viewing Round-up BLOG & news this week ending 24th August 2012. I’m going to give roundups of all the news on Rv over the past week that I can find on a regular basis. A video demonstration of a blind target by edward Riordan in what looks like a CRV or derivative format. Audio through Youtube by Alfred Lambremont Webre and Andrew D. Basiago Talk Time Travel and Convergence. 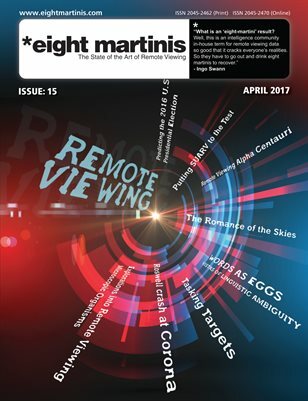 In this new interview Alfred Lambremont Webre and Andrew D. Basiago talk about the nature and implications of remote time sensing technology developed by the CIA, as well as the converging studies which seem to imply a DOD, CIA, and/or US Intelligence psyop false flag operation involving the fabled “Nibiru” or planet X flyby scenario. Video of Joe McMoneagle discussing Remote Viewing and his role in its’ use by the Defense Department. Blogtalkradio – Russell Targ talks about Remote Viewing. Daz Smith – Controlled remote viewing – the beef sandwich. PreviousPrevious post:Remote viewing Round-up BLOG & news this week ending 31th August 2012.NextNext post:Controlled Remote Viewing – the Beef sandwich!